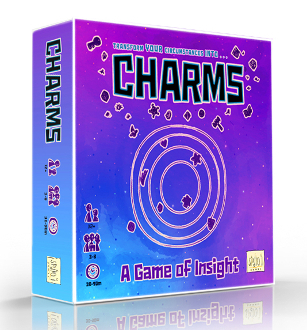 Charms is a fun, easy to learn party game where each player takes a turn as the Quester by asking a question from the Quest Cards (or their own question). Everyone else finds their inner sage and tries to write the wisest answer based on the Quester's roll of the charms, their meanings, and where they land on the board. The Quester then picks the winning answer. The player with the most winning answers wins the game.